These Specific Conditions does not prevent the parties from agreeing other terms or further details in box I-16 or in one or more annexes. The present contract of sale will be governed by these Specific Conditions (to the extent that the relevant boxes have been completed) and by the General Conditions of Sale　which constitute part II of this document. an annex may be used If there is insufficient space. Indicate here the date or period (e.g. week or month) at which or within which the Seller must perform his delivery obligations according to clause A.4 of the respective Incoterm. Indicate here documents to be provided by Seller. Parties are advised to check the Incoterm they have selected under I-3 of these Specific Conditions. If the goods are not delivered for any reason whatsoever (including force majeure) by (date) _______ the Buyer will be entitled to CANCEL THE CONTRACT IMMEDIATELY BY NOTIFICATION TO THE SELLER. In case of termination for delay, Seller’s liability for damages for delay is limited to ____ % of the price of the non-delivered goods. to be completed only if the parties wish to modify art. 11.5.
to be completed only if the parties wish to modify art. 11.8. Any action for non-conformity of the goods (as defined in article 11.8) must be taken by the Buyer not later than __________ from the date of arrival of the goods at destination. (b) Any questions not covered by CISG will be governed by the law of ____________ (country). 1.1　These General Conditions are intended to be applied together with the Specific Conditions (part I) of the International Sale Contract of Manufactured Goods, but they may also be incorporated on their own into any sale contract. Where these General Conditions (Part II) are used independently of the said Specific Conditions (Part I), any reference in Part II to Part I will be interpreted as a reference to any relevant specific conditions agreed by the parties. In case of contradiction between these General Conditions and any specific conditions agreed upon between the parties, the specific conditions shall prevail. B.　to the extent that such questions are not covered by CISG, by reference to the law of the country where the Seller has his place of business. 1.3　Any reference made to trade terms (such as EXW, FCA, etc.) is deemed to be made to the relevant term of Incoterms published by the International Chamber of Commerce. 1.4　Any reference made to a publication of the International Chamber of Commerce is deemed to be made to the version current at the date of conclusion of the Contract. 1.5除非达成书面协议或有书面证据证明，任何对本合同的修改均无效。但是，当另一方信赖该方所作出的行为时，该方由于其作出的行为而不得主张该款规定。1.5　No modification of the Contract is valid unless agreed or evidenced in writing. However, a party may be precluded by his conduct from asserting this provision to the extent that the other party has relied on that conduct. 2.1　It is agreed that any information relating to the goods and their use, such as weights, dimensions, capacities, prices, colours and other data contained in catalogues, prospectuses, circulars, advertisements, illustrations, price-lists of the Seller, shall not take effect as terms of the Contract unless expressly referred to in the Contract. 2.2 Unless otherwise agreed, the Buyer does not acquire any property rights in software, drawings, etc. which may have been made available to him. The Seller also remains the exclusive owner of any intellectual or industrial property rights relating to the goods. 4.1　If no price has been agreed, the Seller’s current list price at the time of the conclusion of the Contract shall apply. In the absence of such a current list price, the price generally charged for such goods at the time of the conclusion of the Contract shall apply. 4.2　Unless otherwise agreed in writing, the price does not include VAT, and is not subject to price adjustment. 4.3　The price indicated under I-2 (contract price) includes any costs which are at the Seller’s charge according to this Contract. However, should the Seller bear any costs which, according to this Contract, are for the Buyer’s account (e.g. for transportation or insurance under EXW or FCA), such sums shall not be considered as having been included in the price under I-2 and shall be reimbursed by the Buyer. 5.1　Unless otherwise agreed in writing, or implied from a prior course of dealing between the parties, payment of the price and of any other sums due by the Buyer to the Seller shall be on open account and time of payment shall be 30 days from the date of invoice. The amounts due shall be transferred, unless otherwise agreed, by teletransmission to the Seller’s bank in the Seller’s country for the account of the Seller and the Buyer shall be deemed to have performed his payment obligations when the respective sums due have been received by the Seller’s bank in immediately available funds. 5.2 If the parties have agreed on payment in advance, without further indication, it will be assumed that such advance payment, unless otherwise agreed, refers to the full price, and that the advance payment must be received by the Seller’s bank in immediately available funds at least 30 days before the agreed date of delivery or the earliest date within the agreed delivery period. If advance payment has been agreed only for a part of the contract price, the payment conditions of the remaining amount will be determined according to the rules set forth in this article. 5.3　If the parties have agreed on payment by documentary credit, then, unless otherwise agreed, the Buyer must arrange for a documentary credit in favour of the Seller to be issued by a reputable bank, subject to the Uniform Customs and Practice for Documentary Credits published by the International Chamber of Commerce, and to be notified at least 30 days before the agreed date of delivery or at least 30 days before the earliest date within the agreed delivery period. Unless otherwise agreed, the documentary credit shall be payable at sight and allow partial shipments and transhipments. 5.4　If the parties have agreed on payment by documentary collection, then, unless otherwise agreed, documents will be tendered against payment (D/P) and the tender will in any case be subject to the Uniform Rules for Collections published by the International Chamber of Commerce. 5.5　To the extent that the parties have agreed that payment is to be backed by a bank guarantee, the Buyer is to provide, at least 30 days before the agreed date of delivery or at least 30 days before the earliest date within the agreed delivery period, a first demand bank guarantee subject to the Uniform Rules for Demand Guarantees published by the International Chamber of Commerce, or a standby letter of credit subject either to such Rules or to the Uniform Customs and Practice for Documentary Credits published by the International Chamber of Commerce, in either case issued by a reputable bank. 6.1　If a party does not pay a sum of money when it falls due the other party is entitled to interest upon that sum from the time when payment is due to the time of payment. 6.2　Unless otherwise agreed, the rate of interest shall be 2% above the average bank short-term lending rate to prime borrowers prevailing for the currency of payment at the place of payment, or where no such rate exists at that place, then the same rate in the State of the currency of payment. In the absence of such a rate at either place the rate of interest shall be the appropriate rate fixed by the law of the State of the currency of payment. If the parties have validly agreed on retention of title, the goods shall remain the property of the Seller until the complete payment of the price, or as otherwise agreed. Unless otherwise agreed, delivery shall be "Ex Works" (EXW). 除非另有约定，卖方必须提供适用的国际贸易术语中要求的单证(如有的话)，或者如果没有适用的国际贸易术语，则按照先前交易过程确定。Unless otherwise agreed, the Seller must provide the documents (if any) indicated in the applicable Incoterm or, if no Incoterm is applicable, according to any previous course of dealing. 10.1 When there is delay in delivery of any goods, the Buyer is entitled to claim liquidated damages equal to 0.5% or such other percentage as may be agreed of the price of those goods for each complete week of delay, provided the Buyer notifies the Seller of the delay. Where the Buyer so notifies the Seller within 15 days from the agreed date of delivery, damages will run from the agreed date of delivery or from the last day within the agreed period of delivery. Where the Buyer so notifies the Seller after 15 days of the agreed date of delivery, damages will run from the date of the notice. Liquidated damages for delay shall not exceed 5% of the price of the delayed goods or such other maximum amount as may be agreed. 10.2 If the parties have agreed upon a cancellation date in Box I-9, the Buyer may terminate the Contract by notification to the Seller as regards goods which have not been delivered by such cancellation date for any reason whatsoever (including a force majeure event). 10.3　When article 10.2 does not apply and the Seller has not delivered the goods by the date on which the Buyer has become entitled to the maximum amount of liquidated damages under article 10.1, the Buyer may give notice in writing to terminate the Contract as regards such goods, if they have not been delivered to the Buyer within 5 days of receipt of such notice by the Seller. 10.4 In case of termination of the Contract under article 10.2 or 10.3 then in addition to any amount paid or payable under article 10.1, the Buyer is entitled to claim damages for any additional loss not exceeding 10% of the price of the non-delivered goods. 10.5 The remedies under this article are exclusive of any other remedy for delay in delivery or non-delivery. 11.1 The Buyer shall examine the goods as soon as possible after their arrival at destination and shall notify the Seller in writing of any lack of conformity of the goods within 15 days from the date when the Buyer discovers or ought to have discovered the lack of conformity. In any case the Buyer shall have no remedy for lack of conformity if he fails to notify the Seller thereof within 12 months from the date of arrival of the goods at the agreed destination. 11.2　Goods will be deemed to conform to the Contract despite minor discrepancies which are usual in the particular trade or through course of dealing between the parties but the Buyer will be entitled to any abatement of the price usual in the trade or through course of dealing for such discrepancies. (c)　reimburse to the Buyer the price paid for the non-conforming goods and thereby terminate the Contract as regards those goods. The Buyer will be entitled to liquidated damages as quantified under article 10.1 for each complete week of delay between the date of notification of the non-conformity according to article 11.1 and the supply of substitute goods under article 11.3(a) or repair under article 11.3(b) above. Such damages may be accumulated with damages (if any) payable under article 10.1, but can in no case exceed in the aggregate 5% of the price of those goods. 11.4 If the Seller has failed to perform his duties under article 11.3 by the date on which the Buyer becomes entitled to the maximum amount of liquidated damages according to that article, the Buyer may give notice in writing to terminate the Contract as regards the non-conforming goods unless the supply of replacement goods or the repair is effected within 5 days of receipt of such notice by the Seller. 11.5 Where the Contract is terminated under article 11.3(c) or article 11.4, then in addition to any amount paid or payable under article 11.3 as reimbursement of the price and damages for any delay, the Buyer is entitled to damages for any additional loss not exceeding 10% of the price of the non-conforming goods. 11.6 Where the Buyer elects to retain non-conforming goods, he shall be entitled to a sum equal to the difference between the value of the goods at the agreed place of destination if they had conformed with the Contract and their value at the same place as delivered, such sum not to exceed 15% of the price of those goods. 11.7 Unless otherwise agreed in writing, the remedies under this article 11 are exclusive of any other remedy for non-conformity. 11.8 Unless otherwise agreed in writing, no action for lack of conformity can be taken by the Buyer, whether before judicial or arbitral tribunals, after 2 years from the date of arrival of the goods. It is expressly agreed that after the expiry of such term, the Buyer will not plead non-conformity of the goods, or make a counter-claim thereon, in defence to any action taken by the Seller against the Buyer for non-performance of this Contract. 12.1 The Buyer shall promptly inform the Seller of any claim made against the Buyer by his customers or third parties concerning the goods delivered or intellectual property rights related thereto. 12.2 The Seller will promptly inform the Buyer of any claim which may involve the product liability of the Buyer. (c)　that he could not reasonably have avoided or overcome it or its effects. 13.2 A party seeking relief shall, as soon as practicable after the impediment and its effects upon his ability to perform become known to him, give notice to the other party of such impediment and its effects on his ability to perform. Notice shall also be given when the ground of relief ceases. Failure to give either notice makes the party thus failing liable in damages for loss which otherwise could have been avoided. 13.3 Without prejudice to article 10.2, a ground of relief under this clause relieves the party failing to perform from liability in damages, from penalties and other contractual sanctions, except from the duty to pay interest on money owing as long as and to the extent that the ground subsists. 13.4 If the grounds of relief subsist for more than six months, either party shall be entitled to terminate the Contract with notice. 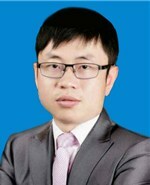 14.1 Unless otherwise agreed in writing, all disputes arising in connection with the present Contract shall be submitted to China International Economic and Trade Arbitration Commission, Tianjin International Economic and Financial Arbitration Center for arbitration, which shall be conducted in accordance with the Commission’s arbitration rules in effect at time of applying for arbitration. The arbitral award is final and binding upon both parties.